Remember about ten years ago when you could get a UMPC which could do everything from tablet to PC to (in some cases) smartphone? That concept is making a comeback. The Graalphone is essentially a smartphone with a custom UMPC dock. 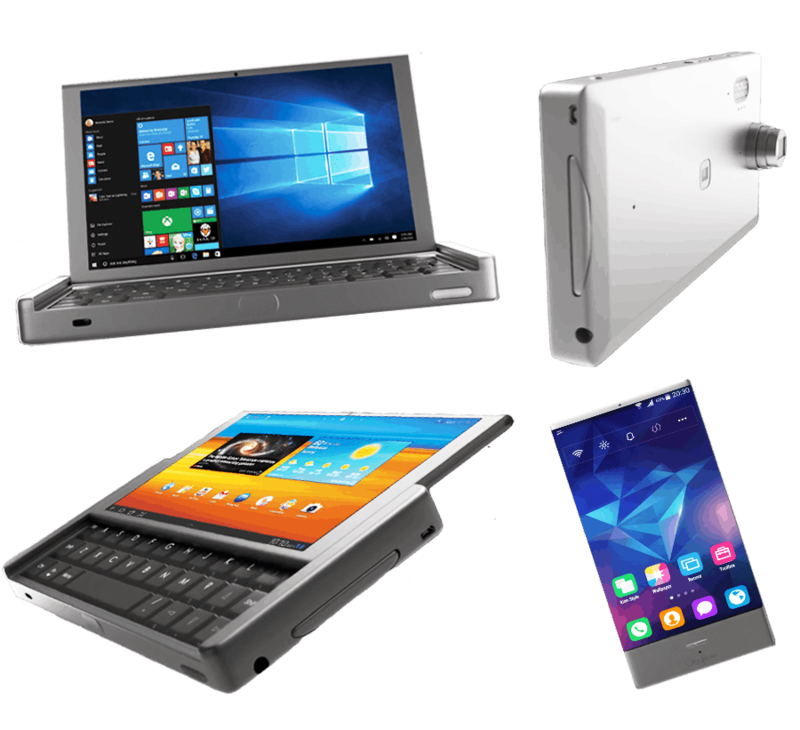 It is similar in function to the NexDock and Superbook which launched this spring, only instead of a full laptop screen and keyboard, the Graalphone is built to be paired to a UMPC based around a 7" screen. Pull it out of the dock and you have a 5" smartphone with an octa-core CPU; insert it and you have a tablet computer which runs either Android or Windows and has dual rear-facing cameras, including one with a zoom and flash. Details are still scarce, but the press release says that the Graalphone will be shown off at CES 2017 and that it is scheduled to ship in late 2017. Until then, all we have is the product video. I hope we will see first hand reports which show that this device exists, because right now my take is that the spec list is more of a wishlist, that what has been shown off points to a device someone would like to make rather than one which they have made. That's not to say that this design is impossible; it reminds me of the GPD Win, or the Pyra/Pandora, only with a slightly larger screen and a removable smartphone component. It will also cost more; the smartphone component and engineering a secure connection will increase the price to about double the Pyra's $330 price tag. But that could be worth it if you need both a smartphone and a UMPC.